Urology is a medical and surgical speciality with a wide range of diagnosis and treatment. It addresses different problems of the urinary tract of men and women. This includes kidney problems, bladder problems, prostate and urethra problems. The urologist also treats mainly male genital problems such as scrotal, testicular and penile problems. Most diagnostic tests performed in urology are performed by endoscopy mainly by the urethra. Urologists must have excellent surgical skills, manual dexterity and excellent oculomanual coordination since several surgical procedures are also performed by endoscopy or laparoscopy. This generalist urologist studied medicine at the Université de Montréal from 1988 to 1993 and specialized in urology at Laval University from 1993 to 1998. He obtained his certificate in Urology at the Royal College in 1998. He practiced in two hospitals for 17 years – at Verdun Hospital and Charles-LeMoyne Hospital. He has gained various experiences in group practice for 14 years in hospital and private practice. He then had a solo practice for 5 years. From 1998 to 2017, he was the chief of the urology department at Verdun Hospital. Dr Marois has been a pioneer in urethropexy techniques for incontinence in women with synthetic slings since 1999. He is experienced in open surgery after performing radical prostatectomies, radical nephrectomies and radical cystectomies. Dr Marois is experienced in urological endoscopy, such as rigid and flexible ureteroscopy, transurethral resection of the prostate by laser, standard monopolar and bipolar and finally vasovasostomy by microsurgery. Dr Marois has been working exclusively as a non-RAMQ participant since September 2017 in his clinics and a private operating room. He became the first private urologist in Quebec. His clinical experience in private practice has made it possible to implement several accessible urological diagnostic services in his clinics such as transperineal prostate biopsy. His surgical experience has allowed him to establish a particular interest in minimally invasive surgeries in a minor surgery room under local anaesthesia or a spermatic block such as vasovasostomy and hydrocele therapy. In addition, he has developed expertise in circumcision for newborns and children. In adults, he implanted aesthetic circumcision with surgical glue. He was also the first urologist to have equipped a private urological operation room with fluoroscopy to offer the full range of endoscopic surgery. He is also a pioneer in implanting a penile implant in Quebec for erectile dysfunction in a private operation room. He has actually grown an interest in the treatment of erectile dysfunction and testosterone deficiency in men as well as sexual dysfunction in women. 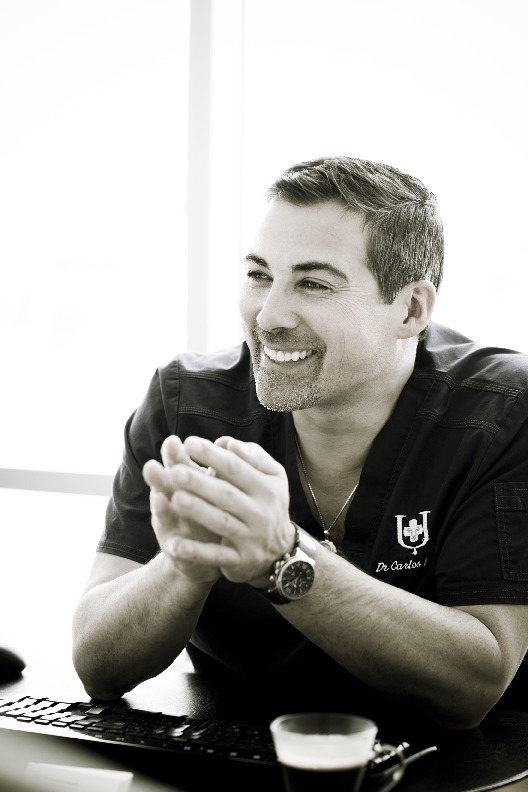 Dr Marois is a member of the Canadian Urological Association, the International Society of Urology, the American Association of Urology, the International Society of Incontinence, the International Society of Sexual Medicine and the Medicine Society. sexual abuse of North America. He participates in many meetings and update conferences to deepen his interest fields that apply to his patients. To provide the full range of diagnostic services and minor urological surgical services in the private sector. At the Clinic Dr Carlos Marois Private Urologist, we always offer an organized and accessible service in a friendly environment. The services offered are minimally invasive and suitable for minor surgery room in private practice. Our clinic’s environment is welcoming to promote a positive experience. Furthermore, minor urological surgeries requiring general or spinal anesthesia are carried out in a private hospital, accredited with an honor award. Access to our services is generally fast and possible in Montreal, Laval, Longueuil and Quebec City. Furthermore, a referral from a family doctor is not required for an assessment; this means that Dr Marois can easily welcome any patient. Diagnostic services and several surgical services offered are minimally invasive. They are adapted to a room of minor surgery of urology in private office. Why choose Les Cliniques Marois for Urology and Sexual Health? Not only is Dr Marois adamant to base his practice on the latest scientific evidences, but Les Cliniques Marois are all equipped with the latest technologies and machines typically used in urology, which meet the standards established by the Collège des Médecins du Québec. However, the real strength is our staff! Trained medical secretaries insure that patients feel welcomed and are provided with the right information or given an appointment in the shortest delay possible. Dr Marois also works with nurses trained in hospital operating rooms, who assist in various urological examinations, treatments and surgeries and take care of surgery follow-ups and one-on-one consultations. Dr. Marois is currently the only private urologist who can perform major surgeries with an anesthesiologist in a private hospital; Centre Métropolitain de Chirurgie, in Montreal, which is accredited with distinction of honor. What are the medical services of expertise for men at Les Cliniques Marois? What are the medical services of expertise for women at Les Cliniques Marois? What are the surgical treatments and services of expertise for men at Les Cliniques Marois? What are the treatments and surgical services of expertise for women at Les Cliniques Marois? What are the surgical services of expertise for kids and teenagers at Les Cliniques Marois? What are the aesthetic services of expertise for MEN and WOMEN at Les Cliniques Marois? Please note that these services are performed exclusively in a disaffiliated private clinic and are not reimbursable by the RAMQ.